The patriotic colors of red, white, and blue brilliantly shine forth in this classic collection conveniently named just that – Red, White & Blue. It’s reminiscent of a hometown parade with icons that spell freedom and pride, such as stars, fireworks, banners, hero awards, and more. 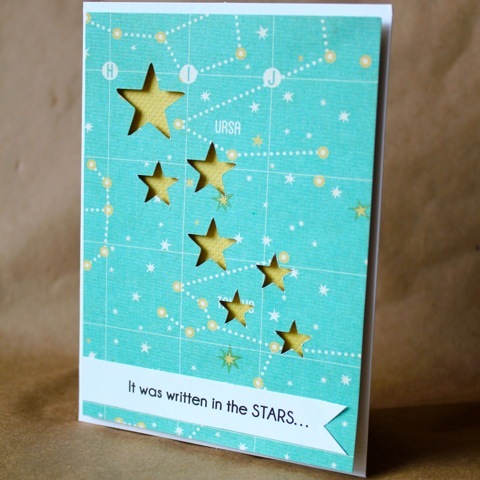 The pre-layered papers and embellishments make it simple to use on any project. 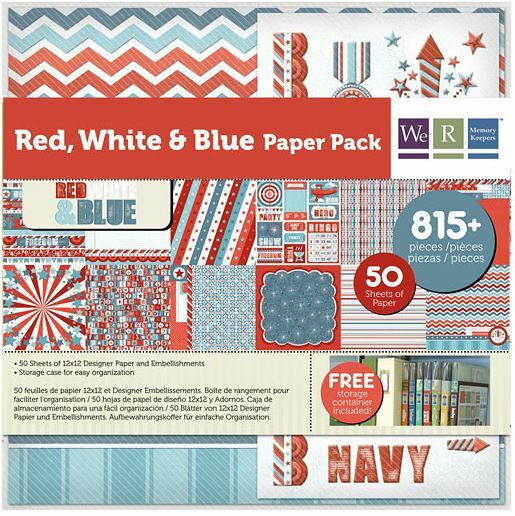 Here is your chance to win this Red, White, & Blue Paper Pack. It’s filled with 50 sheets of paper and stickers, die-cut tags, and a clear carrying case to help you keep all the pieces together. So wanna win it? It’s simple to enter. Check out our Pinterest page (http://pinterest.com/wermemorykeeper/boards/) and follow us. Then post a comment and let us know when you are done. The winner will be announced on Monday! Best of luck. Each summer we host a July 4th barbecue for our circle followed by lawn games and fireworks. It’s always a great time! As part of our decor my girls and I always make a banner to hang on our deck to set a festive tone. This banner is easy to make. Just choose some papers to match your theme, punch them in your favorite Lucky 8 Punch, and cut them in half. Using the Crop-A-Dile, add some eyelets to the corners to reinforce the papers. Then add some twine and string it up. I love the festive feel it adds! 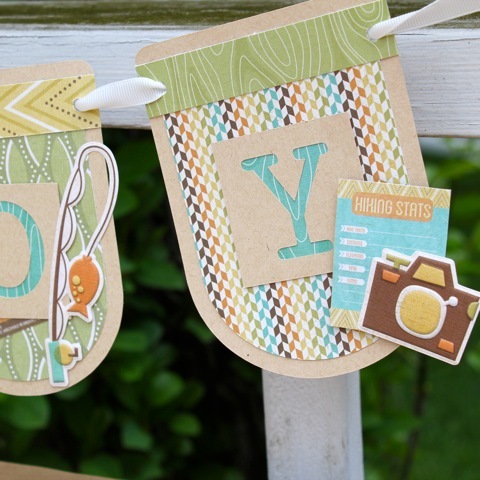 Bonus tip: for a smaller scale banner, use your Mini 8 punch and 6×6 papers. Hello! My name is Melissa Dehne and I am thrilled to have the chance to be a Guest Designer on the We R Memory Keepers Blog today! Now that Memorial Day has come and gone in the US, I know that I am ready for some summer fun to begin! 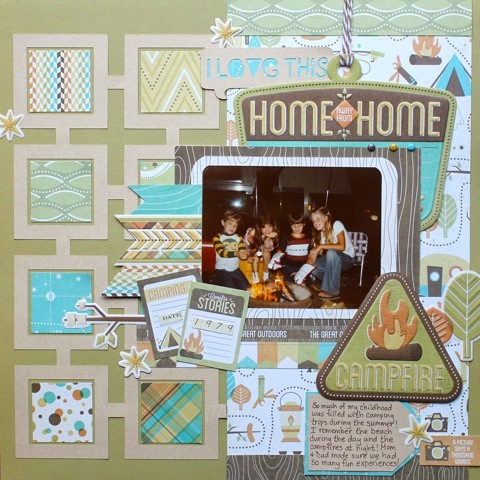 I had the opportunity to work with the Happy Campers collection from We R Memory Keepers. 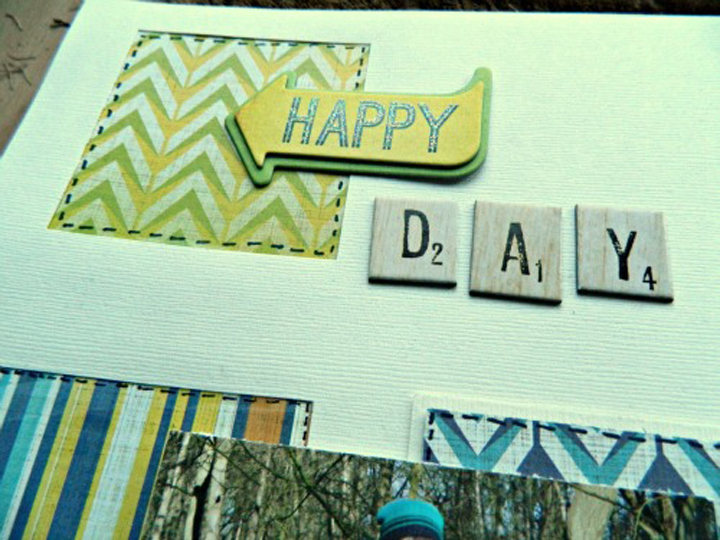 It was so easy to coordinate the papers, embellishments and stickers to create some really fun projects! We have many neighborhood get togethers during the summer. Most of these gatherings include snacks and a bonfire. 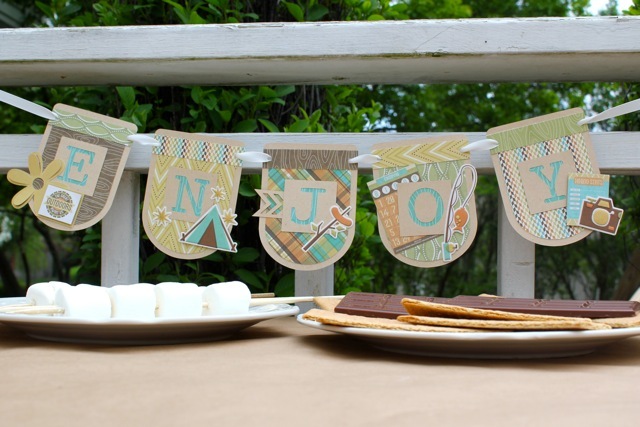 I decided to make a banner to hang above the s’mores table to add a little festive touch! To create the banner, I created rounded off, plain cardstock, rectangular shapes on my Silhouette Cameo sized approximately 5 inches by 3.75 inches. I then cut another banner piece just a bit smaller out of patterned paper from the Happy Campers collection, to provide a layer (approximately 4.5 inches by 3.25 inches). I then cut strips of paper to place along the top of each banner piece in a coordinating color/pattern. This piece was approximately .75 inches by 3.75 inches. Next, in plain cardstock 2 inch squares, I cut the letters to spell ENJOY. This could also be created with alphabet stickers! I then layered a piece of patterned paper behind the 2 inch square to allow the pattern to show through. 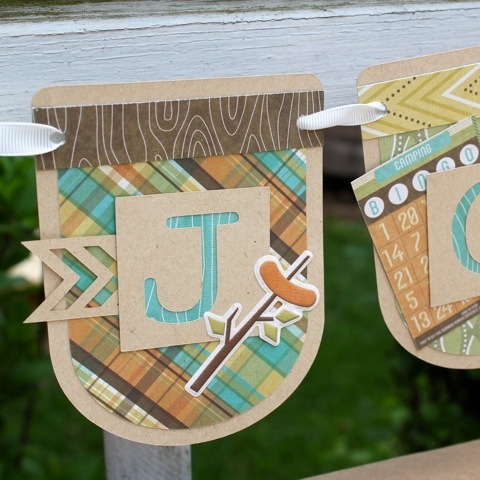 Then, I used all of the incredible embellishments, paper and stickers that came with the Happy Campers collection to embellish each banner piece. I then punched holes with my Crop-A-Dile and strung some Sew Ribbon through the holes to hang the banner! After completing the banner, I still had a lot of product left over so I decided to create two more projects. First, I decided to go “Old School” and pull out a photo from when I was a child enjoying a camping moment! I loved being able to use so many of the different patterned paper on the layout! Lastly, I absolutely loved the constellation paper that came with this collection! Since my husband and I have an anniversary coming up, I decided to make a card for him. I hope that my projects inspired you in some way! This was a wonderful collection to work with and I am privileged to have had the chance to be a Guest Designer today! 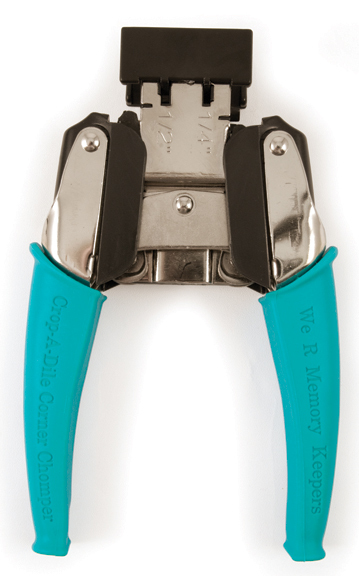 Thank you to We R Memory Keepers for giving me the opportunity! Hello We R fans! It’s that time of year when the weather’s great, the kids are out of school, and many people travel. So, I thought it would be fun to share a travel page with you that includes an accordion memorabilia pocket. I am Natalie Jane and am absolutely ecstatic to be guesting with We R Memory Keepers this month. Am a 31yrold mother of 1…..and maid, cleaner, cook, lecturer, teacher, fun-pal. By day, I am a full-time Chemistry Teacher and by eve I can be found in my study creating, reading, or tidying the never-ending mess. I live in England and spend most of that wishing I could move to my homeland of Scotland. I love colour so this particular collection was lovely to work with, so lovely, in fact, I made three projects. (See my blog for details of them). I wanted to use all the papers and so I cut out squares of each paper. I mounted some squares and used the others to create windows. I accented the windows with faux-stitching to make them stand out. Used the cardstock chipboard as an embellishment for the title. I like to cut out shapes to add to a cluster of embellishments and We R Memory Keepers Feelin’ Groovy paper was perfect for that. Thanks for reading and ladies, thanks for having me! It’s summertime. The kids are out of school, so the season of BBQ’s, family vacations, and eating popsicles on the porch is in full swing. Summertime seems to make the days longer and filled to the brim with things to do. What does this mean? You’re busy, which is why today’s giveaway is perfect for you. Here’s your chance to win the Albums Made Easy system. Albums Made Easy takes the process of scrapbooking and memory keeping and simplifies it into three easy steps, making it doable for everyone. 1. Select an album, 2. Select journaling and decorative cards, and 3. Insert the cards and photos into the album. 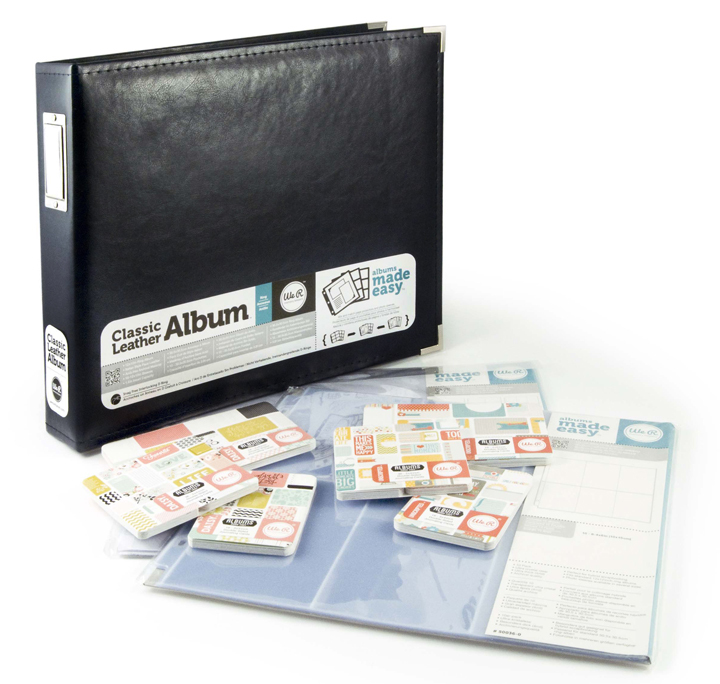 Today’s prize includes a 12×12″leather album, two packages of sheet protectors and six packages of Journaling Cards. To win, post a comment and let us know why you want to win. You can enter as many times as you would like. The lucky winner will be announced on the blog on Monday. Make sure you share this with your friends so they can join in on the fun also. Learn more about Albums Made Easy by watching this quick video. Creating well designed projects doesn’t always mean spending tons of time on them. 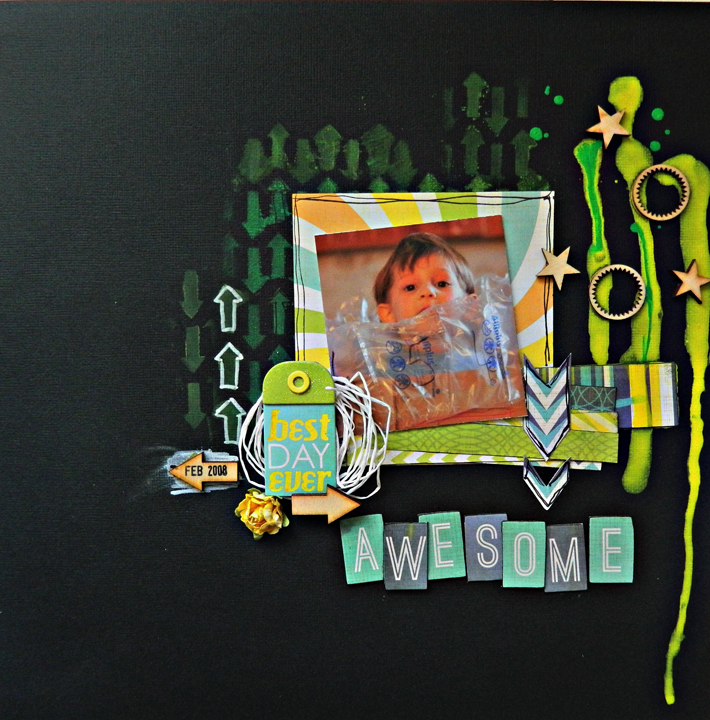 Using basic tools in a fun and creative way can result in great designs with minimal time. 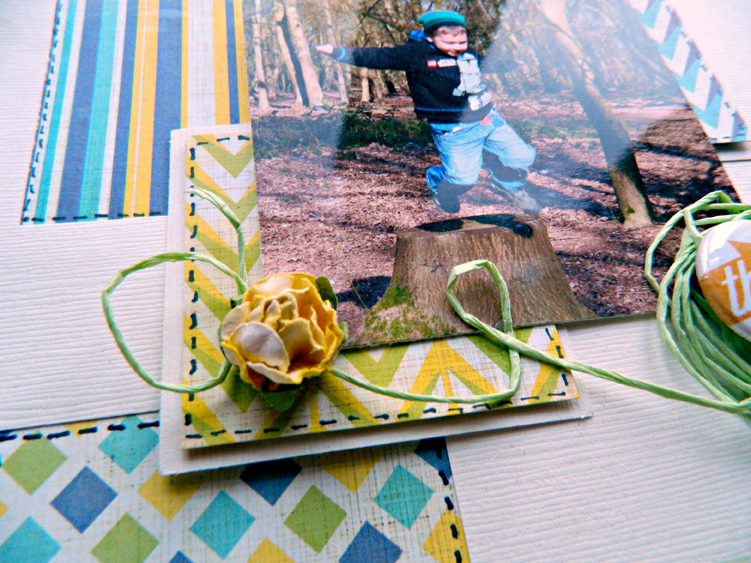 Take a look at the card I made below using the Corner Chomper (1/2 inch radius). This card took me about 10 minutes to make. I punched out six small rectangles from various patterned papers and rounded the corners on one side. Placing them in a grid with the rounded corners all facing inward creates a cool background for the sentiment. You could create a similar background for your photos on a scrapbook page with larger strips of paper and your Corner Chomper. Try playing around with your Corner Chomper to create cool designs for your next project. P.S.The patterned papers I used for this card are from the Happy Campers collection, but notice that my card isn’t a “camping” themed card. That’s one of my favorite things about We R collections–there are always plenty of generic papers mixed in with the themed papers. Hi. My name is Ruth Bosner and I’m excited to share my project as We R Memory Keeper’s Guest Designer. I used the Happy Campers Collection to create a layout and Albums Made Easy spread. I have used camping photos in one, as they are thematically relevant and non-camping photos in the other, using the beautiful wood grain textures as my inspiration for the portraits of children in the trees at the park recently. I created this layout about an evening our family spent up in the nearby mountains eating hobo dinners and roasting marshmallows last summer. Great memories! I love how easy it was to create the background for this page with the Lace Kerchief Lucky 8 Punch. This page features a photo of my hubby and some scouts the morning after they camped out in the rain. The gorgeous view they saw of the clouds settled over the mountain tops made the rainy night worth it. 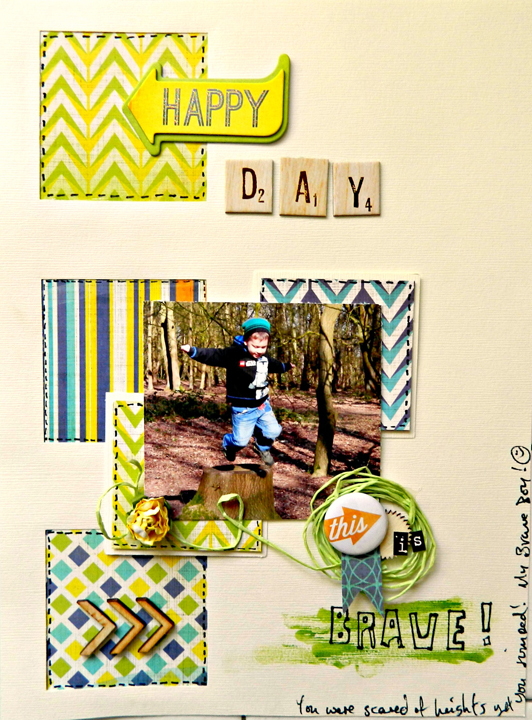 The Sew Ribbon tool added some fun details to this layout. 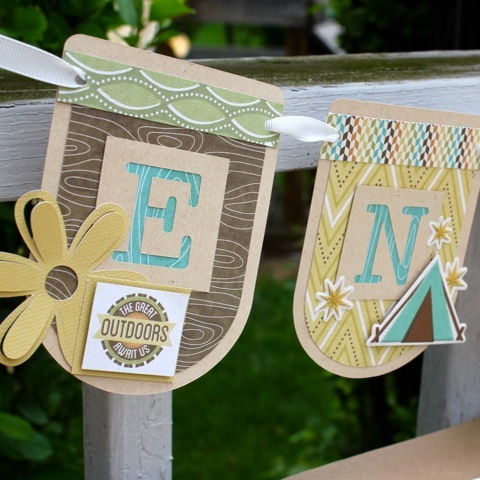 Here’s a cute door hanger that would make a great gift for a college student or a child going off to summer camp. You could even hang it on your camper door while on a road trip. 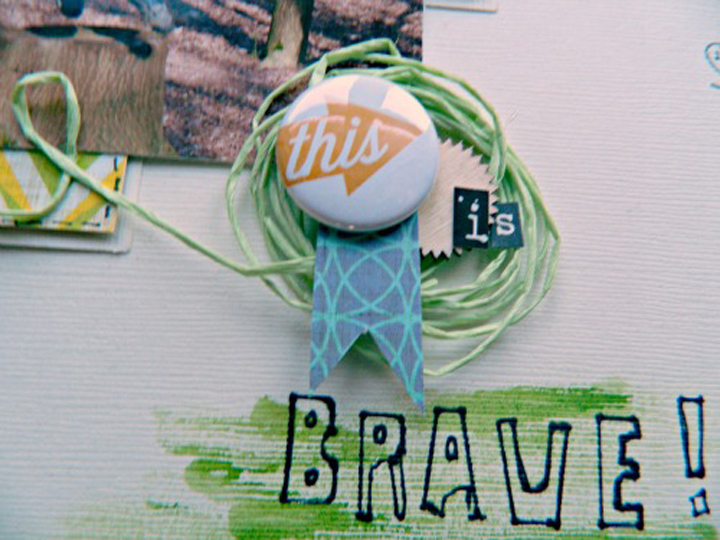 I hope these Happy Campers projects have inspired your summer crafting. Creative cheers! Gail please email us at customerservice@weronthenet.com with your address so we can send your prize.